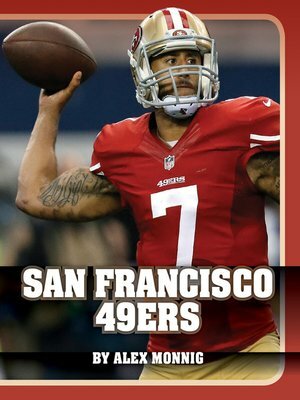 Learn about the key players and big wins that have made the San Francisco 49ers one of the most dominant teams in the NFL. Readers will get a glimpse into the league, the team's history, its home stadium, its fans, and the team's most memorable moments. Additional features to enhance comprehension include informative sidebars, a glossary of key words and phrases, sources for further research, a look at the parts of a football field, a section on common football gear, and a section of career records and stats.